The original concept of Zumba combines a dance workout with a party-like atmosphere. 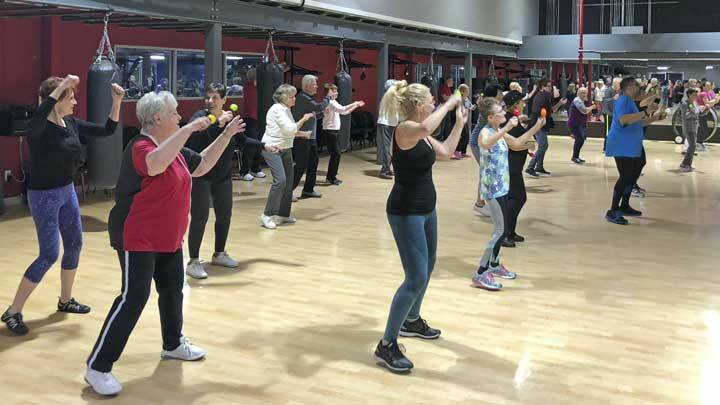 Zumba Gold takes the popular Latin-dance inspired workout of Zumba and makes it accessible for seniors, beginners or others needing modifications in their exercise routine. Zumba Gold builds cardiovascular health by challenging the heart and working the muscles of the hips, legs and arms with dance moves.